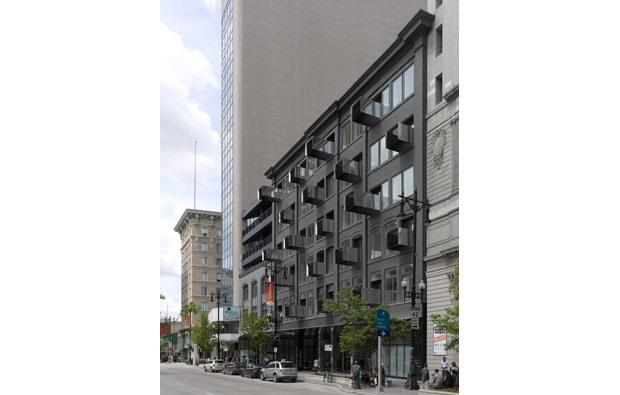 This project is a bold, clever and beautiful renovation of two historical commercial buildings located on Portage Avenue that had fallen into a state of decline. The program is comprised of residential space on the upper four floors and commercial space on the lower floors. 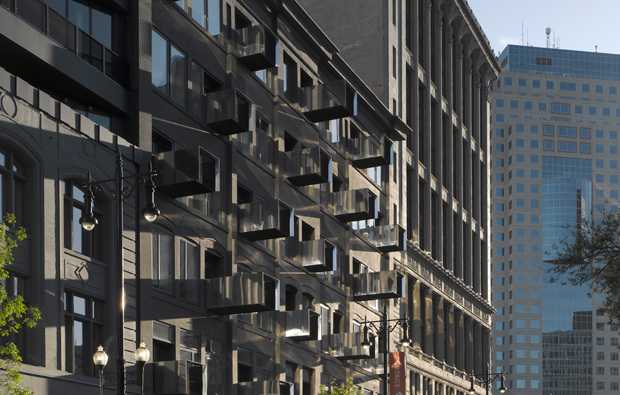 The residential floors feature a range of unit types that literally project outwards onto Portage Avenue through a series of mirror-polished aluminum-clad cantilevered balconies. 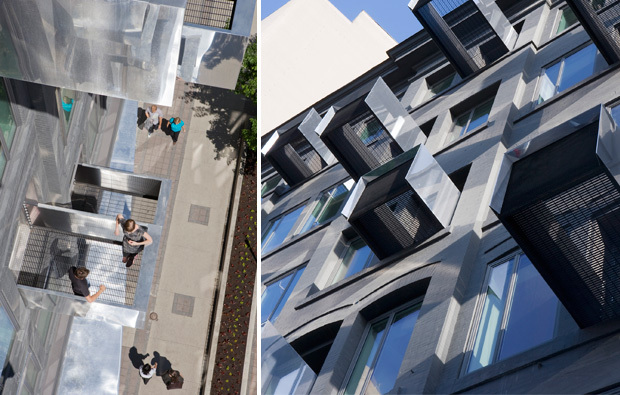 Compositionally and materially the balconies create a dramatic ‘illusionary’ presence over the street that have compelling contrasts with the original façade. 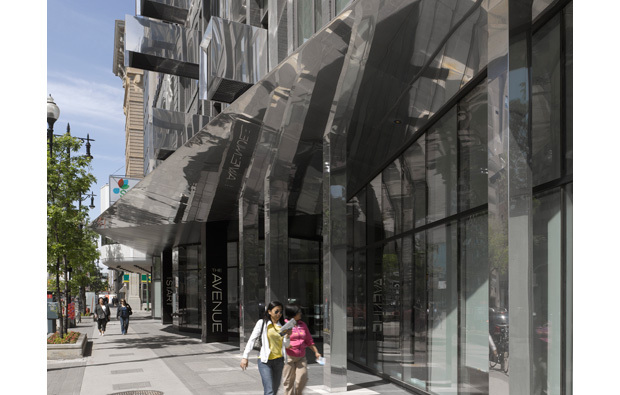 The at grade commercial space is set back from the sidewalk where its mirror-finished surfaces help to animate the street. Overall, the project speaks to the vision of the architects and the developers to bring new life to old buildings and to contribute to civic heritage in a truly exemplary manner.